I think most teachers would agree that lesson planning starts with the end in mind. I also think it’s safe to say that a majority of educators start their planning with the objective or standard and work backwards from there. 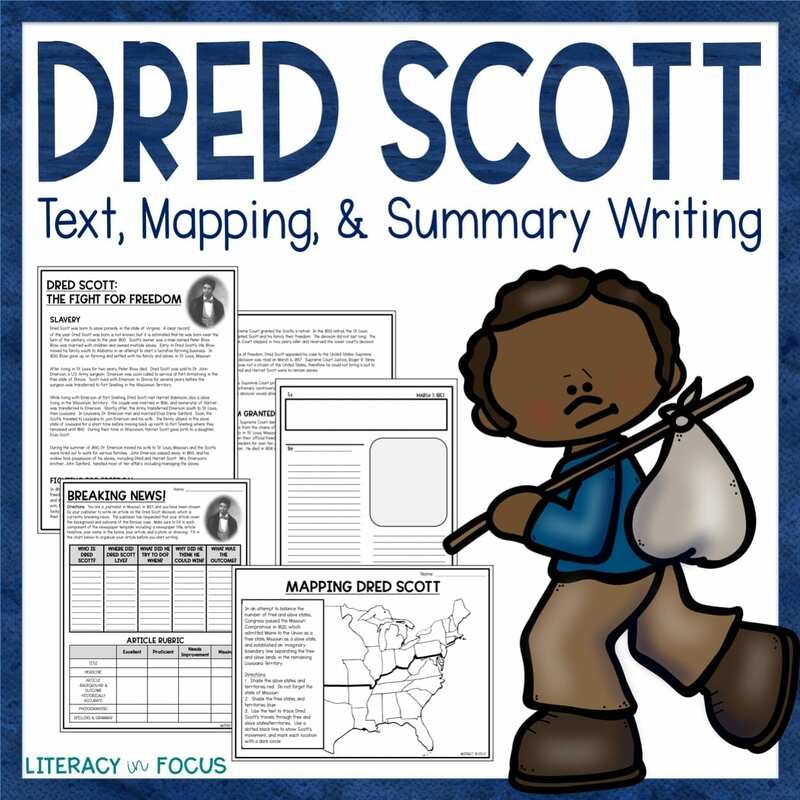 In terms of planning the Dred Scott lesson, the ultimate goal is for students to be able to determine the central idea of the text, and provide an accurate written summary of the content. In order to hit the lesson objective, I scaffold my lesson with three different activities. Each activity builds upon the next. First, I start the lesson with informational text focused on the life and trials of Dred Scott. Next, I reinforce learning with a mapping activity. Finally, I end the lesson and assess learning with a summary writing assignment. The first part of the lesson is important because it lays the foundation for learning. Due to the complicated nature of the Dred Scott case, I like to start my lesson with informational text. If there is something students don’t understand, they can go back in the text, re-read, and clear up any confusion. In order to ensure understanding, I address important points using oral questioning. At this point in the lesson I’m walking a fine line. I don’t want the information to become too overwhelming, but it is critical that students have a clear understanding of Dred Scott and the landmark Supreme Court case. 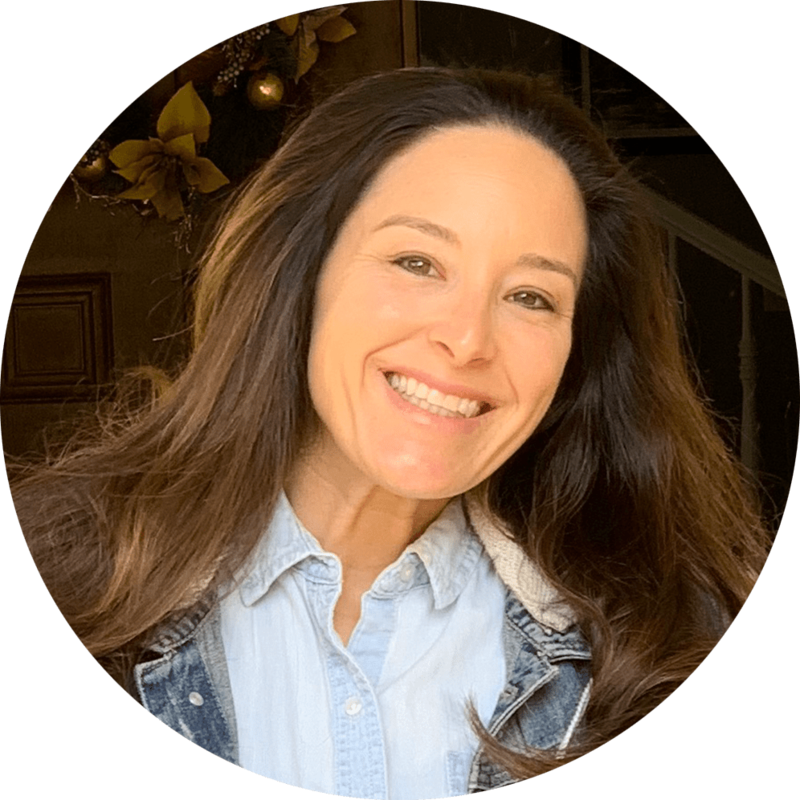 A background video that complements the text would be a great way to reinforce learning and address any lingering inconsistencies. Maps urge us to think critically. When constructing a map, students are moving beyond the processes of recall and basic reasoning and into a more complex way of thinking. 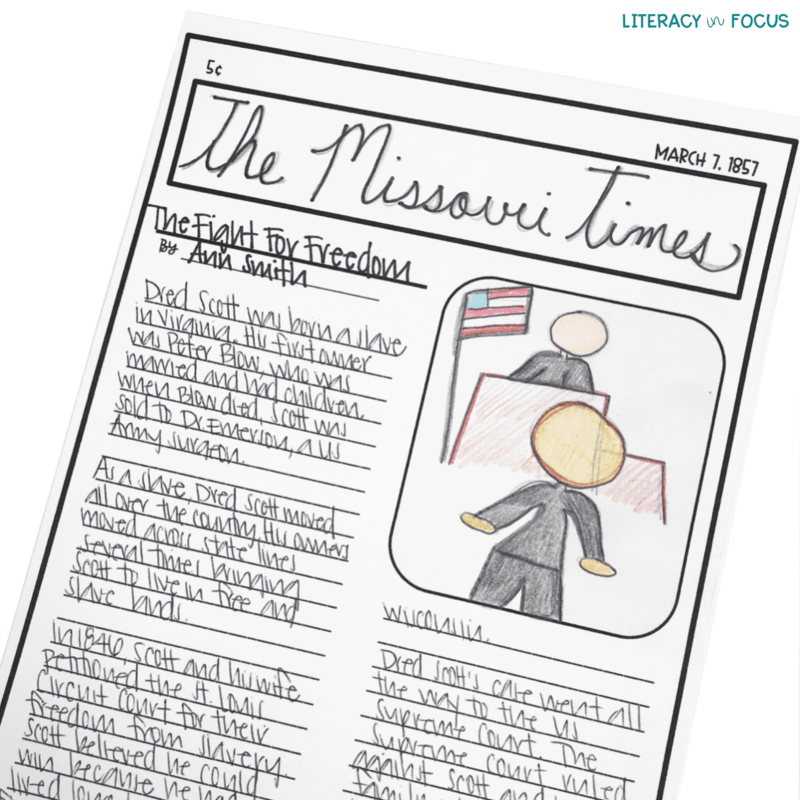 Including a map activity within the Dred Scott lesson reinforces and builds upon the information gained from the text. 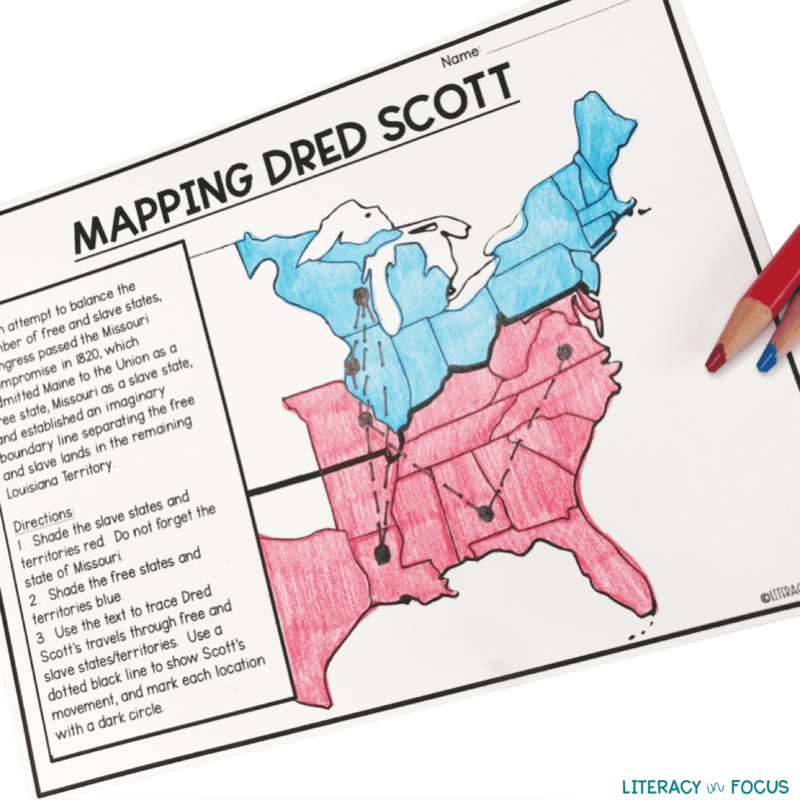 In fact, students will, most likely, need to refer back to the text in order to accurately apply their knowledge in a way that visually represents Dred Scott’s travels across state lines. Students will not be able to provide an accurate summary, the final portion of the lesson, if they don’t understand Scott’s travels through free and slave states. This is the time to catch anyone falling behind, which makes the map activity ideal for differentiation. It will help to ensure you are meeting the needs of all learners in your classroom. Where did Dred Scott live? What did Dred Scott try to do to get his freedom? When? Why did he think he could win? After completing the outline, it is time for students to showcase what they have learned over the course of the lesson. If students did an adequate job addressing the questions contained in the outline, they should be able to identify the main idea and summarize the events in a concise newspaper article. I provide students with a newspaper article template that includes space for them to include their own unique newspaper name, article title, and illustration. The finished product serves as a great tool for assessing the lesson objective. It also looks great hanging up in the classroom! 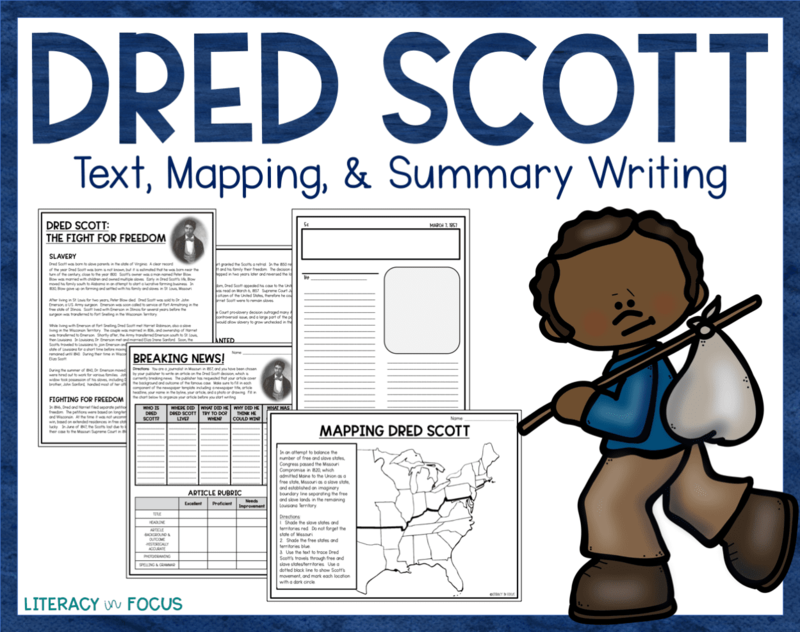 You will need the following materials to mirror the Dred Scott lesson detailed above: an article or text detailing Dred Scott’s life and the landmark Supreme Court case, a black outline map of the United States in 1857, the outline questions detailed above, and a newspaper article template. I also like to include a summary writing rubric that I review with students before the writing process begins. 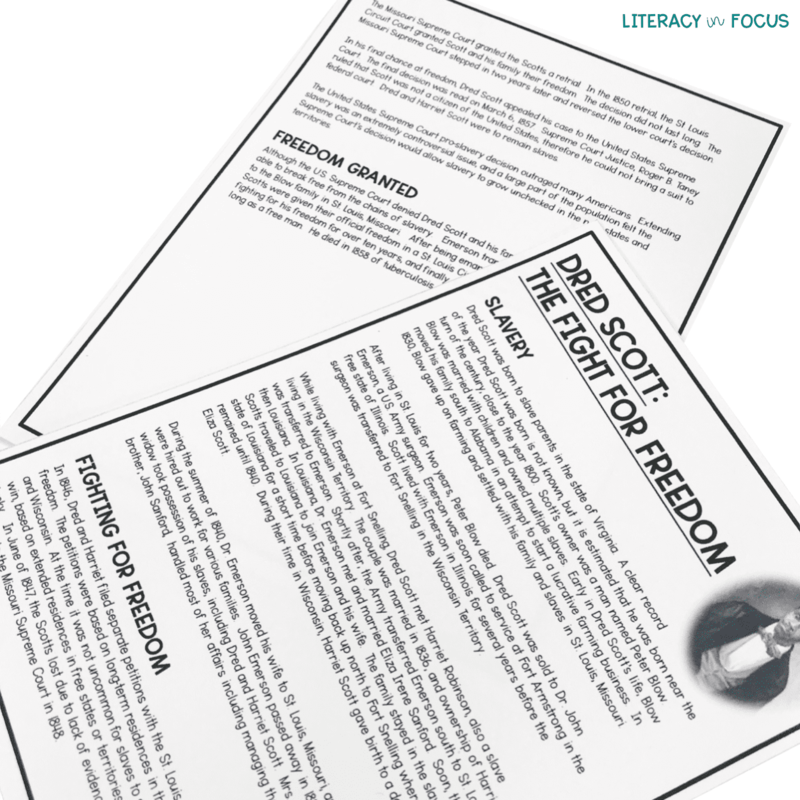 If gathering the materials is something you don’t have time for at the moment, but you’re interested in delivering the Dred Scott lesson in this format, click here to access the lesson from Literacy in Focus on TpT. It includes everything you need for a successful lesson without all the stress of planning it!